The F-15 Eagle is an air-to-air fighter jet (for air-defence). The F-15 has been developed to penetrate enemy air defence and shoot down each other fighter jet. With his high maneuverability it can make turns without losing speed and is superior in air combat. The F-15 was for a long time an Americans important fighter jet in air-to-air combat. The US F-15's are called the "Golden Eagles". The F-15 will be partially replaced by the most modern fighter jet; the F-22 Raptor. The F-15 can only be armored with air-to-air missiles like the AIM-9 Sidewinder and AIM-120 AMRAAM. The F-15 is in service by the United States Air Fore, Israel, Japan, Saudi-Arabia and South-Korea. 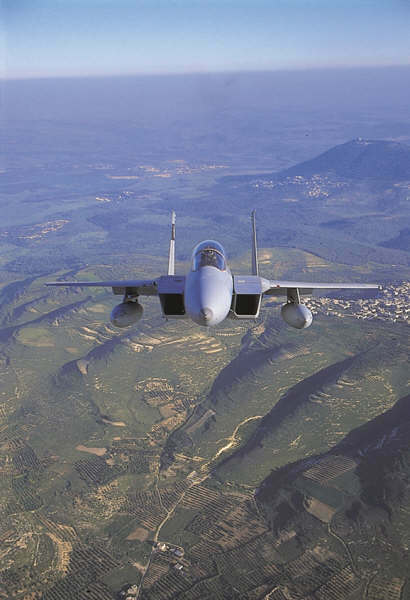 Israel uses 2 versions where of the second is a modernized version of the F-15 block 50. 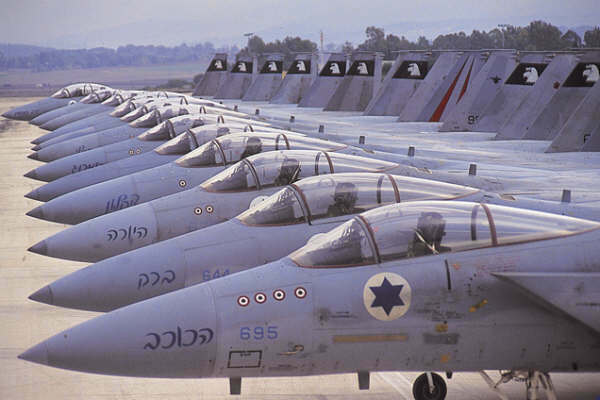 More info on Israeli fighter jets. The F-15C uses a Doppler radar to detect Aircraft beneath and upper himself. When enemy aircraft comes close they will be automatically shown at the head-up display. 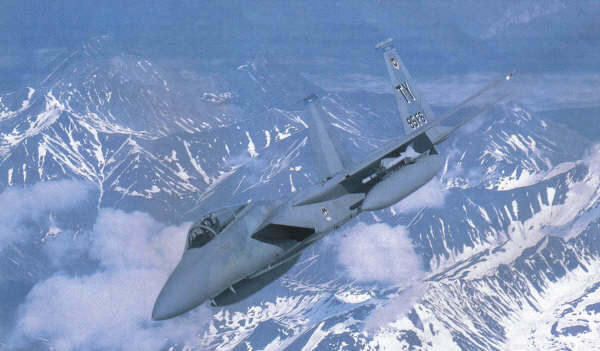 The F-15C has: a head-up display, UHF communication, tactical navigation system, a tactical electronic warfare system, Identification Friend of Foe (IFF) system and a central digital computer. The F-15 can carry a various weapon arsenal like Sparrow, AIM-120 and Sidewinder air-to-air missiles. The control is mounted on the engine control stick so when the pilot change from weapon system the new information appears directly at his head-up display. The United States Air Force (USAF) is the main operator of the F-15C with some 396 fighter jets. The Air National Guard has 126. F-15C pilots, technicians and other ground crew are - on low scale - being trained for the new F-22A Raptor which will replace the F-15C up to a remaining feet of approximately 190 F-15C jets. 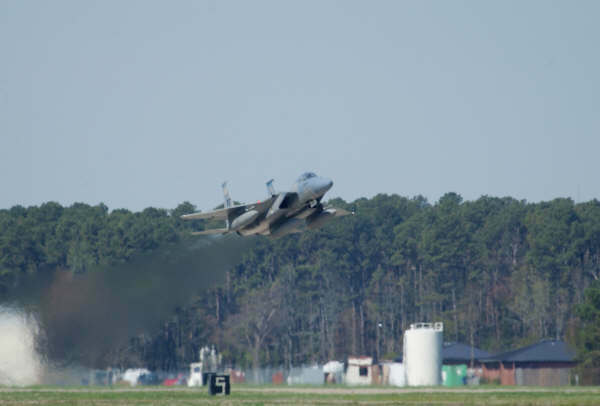 During the exercise Cope India 04 on the Indian AFB Gwalior, six American F-15C from Elmendorf AFB fought against Indian fighter jets. The Indian Su-30K's were better than de American F-15's in close combat.